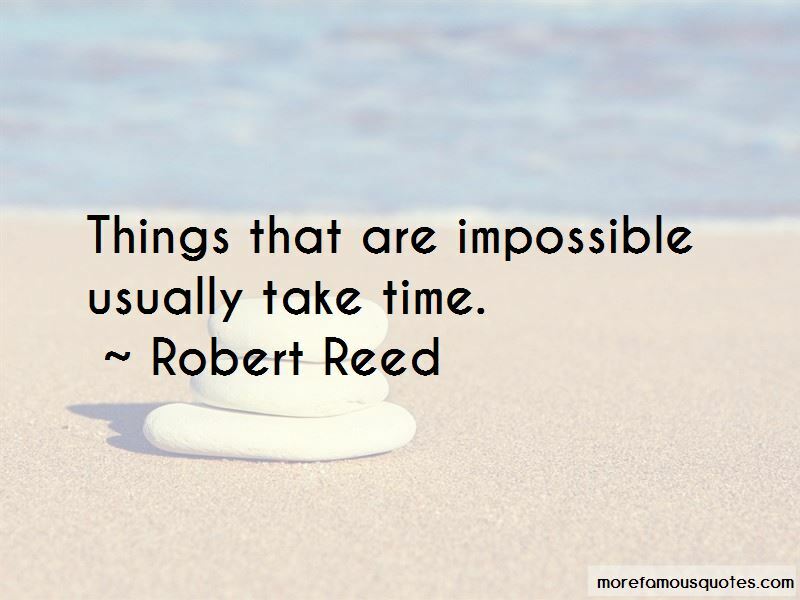 Enjoy the top 30 famous quotes, sayings and quotations by Robert Reed. For honest insight into who you are, don't ask yourself what your priorities are for next week. Ask what your priorities were last week. I live for those rare and delicious moments when the words on the page take off and I am the bystander, watching as the tale shows me what will happen next. 2001: A Space Odyssey was a wonderful conundrum when I was a boy, with its giant concepts thrown across the giant screen at Indian Hills Theater. That movie woke me up in ways that I hadn't imagined, and I went searching for book versions of the same drug. A community that learns together excels together. 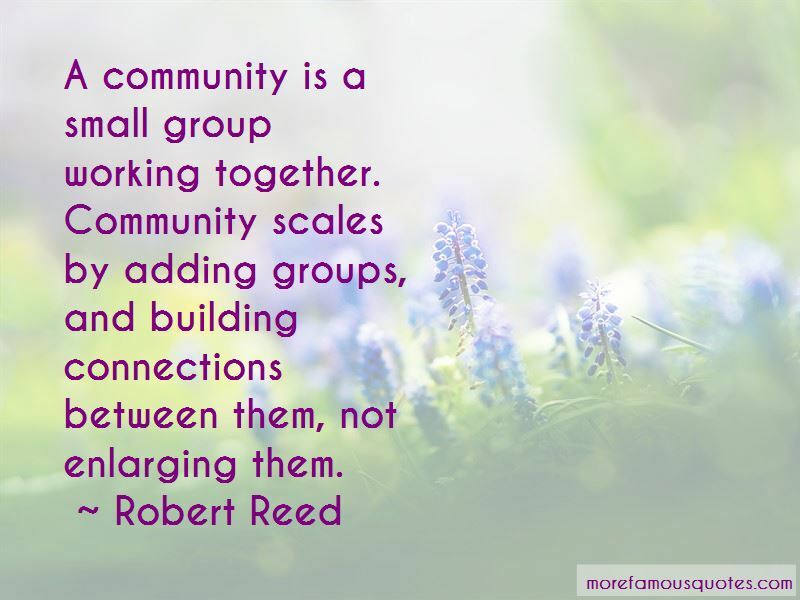 We need to form communities that learn together. Occasionally, I'll dream I'm in the factory. That will help me write. Not creatively, but more like a prod. I don't want to go back there. I can't point to a moment or incident that made me see that this business, this putting down words on paper, was what I would do for the rest of my lucid life. But apparently, that is my calling. 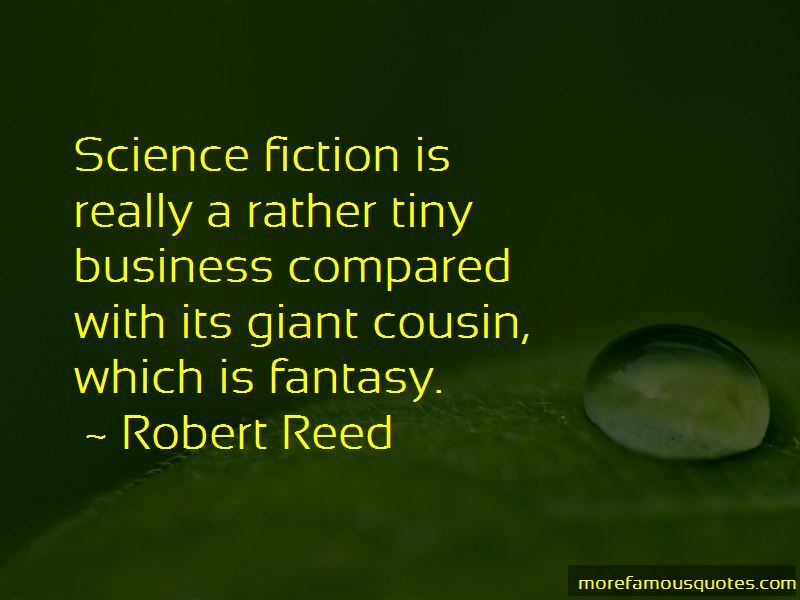 Want to see more pictures of Robert Reed quotes? 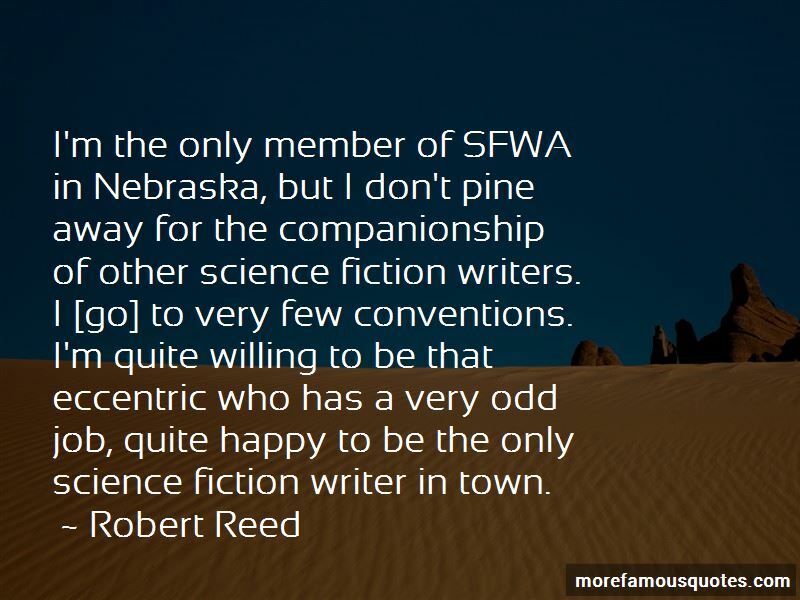 Click on image of Robert Reed quotes to view full size.